For a business or brand have an effective online presence, certain steps need to be taken and solutions implemented. First of all a business or brand needs unified voice all over the internet. Second, a strategic marketing plan needs to be implemented and executed. Finally, an engaging website needs to be awaiting your users. Sometimes this is not the easiest task, and when you have plenty of other business matters to take care of… having an effective online presence can be overwhelming. Fortunately outsourcing your online presence can take that load off of you! This way you can let someone else manage your online presence, while you focus on building and running your business. Sit back, let your online presence engage your audience, and watch the growth happen. 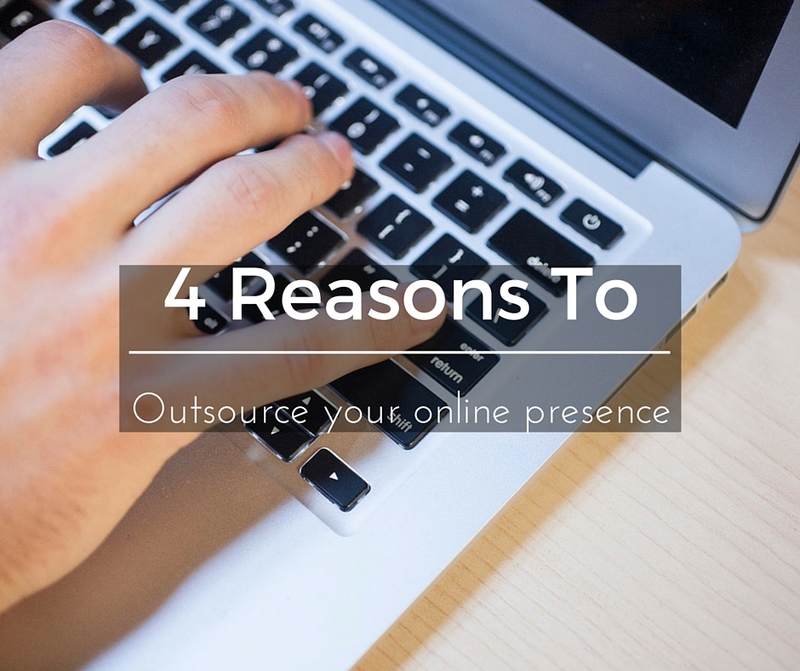 Here are 4 reasons why you should outsource your managing your online presence. 1. Save hundreds of hours. It can take a lot of time to develop and maintain an effective online presence. As a business owner, you probably don’t have the time to do this yourself. Outsourcing such a task means having someone else focus on this aspect of your business; this will free up time for you to focus on the other aspects of your business. 2. Save tons of money. As a modern business owner, you know that hiring people to delegate work to is needed as your business grows. These days some businesses end up hiring a full-time social media manager, a full-time webmaster, a full-time blogger, and a full-time marketer. More often than not, small businesses aren’t able to afford one position to cover these jobs, much less multiple positions. Outsourcing allows you to maximize savings while, at the same time, maximizing effectiveness in your online presence. 3. Have your effective online presence done right. Let’s be honest. The internet is evolving so fast that it can be hard to keep up with all of the new techniques and methods. You have a business to run, and you don’t know where to even start to learn how to have an effective online presence. Outsourcing your online presence ensures that your effective online presence is done right and done consistently, as long as you outsource to the right people. Maintaining an effective online presence can grow your business significantly. Outsourcing to someone who knows how to optimize marketing, increasing traffic to a website, and converting that traffic into customers can be one of the best business decisions you can make. Having an effective online presence can be the catalyst to grow your business, and increase your potential reach to amazing numbers.